Keith Lucas was killed instantly when his BE2 biplane collided with that of a colleague over Salisbury Plain on October 5, 1916. 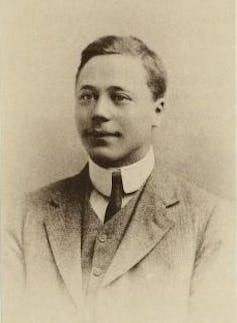 As a captain in the Royal Flying Corps, Lucas would have known that his death was a very real risk of the work he was doing in support of Britain’s war effort. My attempt to fully understand the motivation and circumstances that conspired to put Lucas in that cockpit came as part of an ongoing study of an extraordinary set of aviation pioneers. 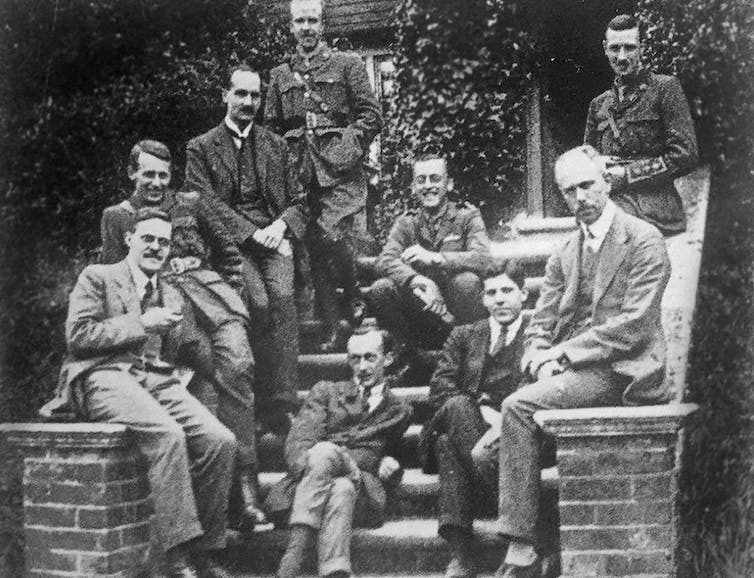 Just over 100 years ago, a group of mathematicians and scientists were drawn to the Royal Aircraft Factory in Farnborough, Hampshire. In 2017, using mathematics to predict the success or failure of an aircraft structure mostly involves tapping keys on a computer while sat in a comfortable office. But 100 years ago, things were very different. Lucas and his colleagues endured freezing cockpits and engaged in aerial versions of Russian roulette in order to significantly expand our understanding. Many of them paid the ultimate price. I happened to be watching a BBC weather forecast when I realised a potential lead was literally staring me in the face. The presenter was Sarah Keith-Lucas. I already knew from my research that the Lucas family had changed their surname to “Keith-Lucas” as a mark of respect after the tragic crash. So was there a connection? I was thrilled when Sarah replied to my tentative e-mail enquiry and revealed that she was one of Lucas’s great grandchildren. It also transpired that her aunt, Mary Benjamin, was the family archivist and held a stash of potentially interesting material that she was willing to share with me. What’s more, Sarah’s father, Chris, was in possession of an original Lucas compass or two. The trail was suddenly hot again. I arrived at Mary’s beautiful home to find a horde of Lucas-related treasures laid out for my perusal, from books and articles to personal photographs and letters. 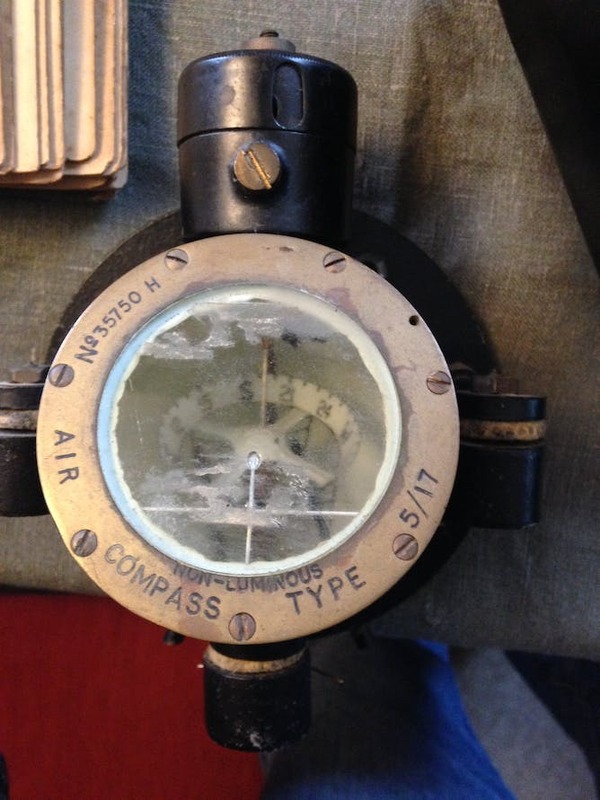 Chris had even arranged to have Lucas’s compasses there for me to drool over. After a few hours of reading, note making, and delightful conversation, I had learned a huge amount about Lucas. But still much of his work at Farnborough remained a mystery and only one filing box remained unopened. The first generation of crude bombsights had been rather unreliable if the aircraft happened to be pitching up and down due to some disturbance in the air. To help develop a more accurate targeting device it was necessary to find a way to record the nature and duration of such pitch oscillations. Lucas’s custom invention, the “photokymograph”, was a piece of analytical equipment that fulfilled this requirement perfectly, and would certainly have made W Heath Robinson proud. 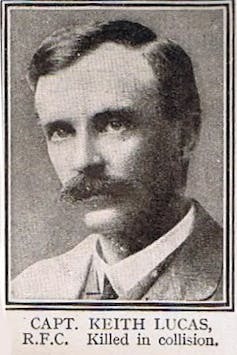 Yet Lucas was following in the wake of another man, one who is perhaps most deserving of the title “unsung hero” among the mathematicians of the Royal Aircraft Factory, Edward Teshmaker Busk. Unlike those pioneering aviation industrialists of that era who became household names, such as Geoffrey de Havilland and Frederick Handley Page, few people have ever heard of Busk. 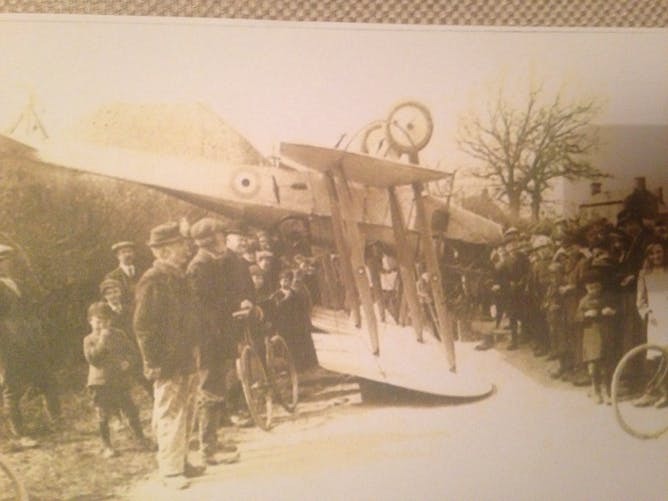 But if it weren’t for him, the pilots of the Royal Flying Corps may have been obliged to enter the war in machines bereft of intrinsic stability. The fundamental question was what determined the nature of the oscillations that an aircraft experienced after, for example, it was hit by a strong gust of wind. How could an aircraft be designed so that these oscillations always decayed naturally, without adjustments from the pilot to stabilise them? As fixed-wing aircraft at the time were primarily seen as reconnaissance tools, providing a stable platform for observations was considered an essential. How solid objects rotate in space and move through a fluid such as water or air were relatively well understood principles at that time. What was missing in relation to an aircraft was a comprehensive understanding of how the lift created by its aerofoil–shaped wings modified the motion. In particular, designers needed to know how the interrelationship between aircraft roll (rotation about the longitudinal axis) and aircraft yaw (rotation about the vertical axis) affected stability following a disturbance. 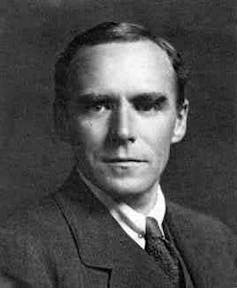 The theory was laid down in 1911 by George Bryan, professor of mathematics at Bangor University in north Wales. He was able to encapsulate in a pair of equations the design features and conditions necessary to keep an aircraft stable. The problem was these equations couldn’t be solved without knowing certain parameters that depended on how initial forces acting on the aircraft’s surfaces altered its motion about its three axes. Unfortunately, such data was only available via either rudimentary wind tunnel experiments with models, or by conducting the more dangerous but far more reliable and representative flight tests on full-scale aircraft. This is where Busk’s unique combination of talents became invaluable. He was not only a trained pilot but could also fully understand the implications and argument of Bryan’s rather protracted and exacting mathematics. The erstwhile meteorologist and Trinity College, Cambridge, graduate could perhaps best be described as the cerebral odd-job man of early aerodynamic research. He investigated exactly how the pressure changes as air flows across the upper and lower surfaces of a wing in flight. After Taylor’s ploy, the academic rebellion against being grounded gained momentum. The unofficial shop steward of the movement was physicist Frederick Lindemann, who eventually negotiated a deal to allow him and three others (Keith Lucas, George Thomson and William Farren) to attend flight school. He would later go on to star as Churchill’s senior scientific advisor during World War II, and eventually became a peer of the realm. But Lindemann’s immediate preoccupation after his flight training was to tackle the uncertainty surrounding a problem responsible for scores of deaths and the loss of as many airframes, that of spinning. 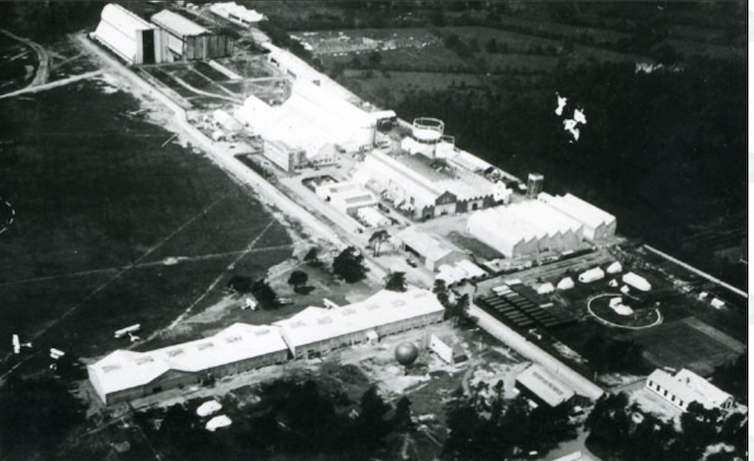 The Royal Aircraft Factory at Farnborough. Aircraft were entering spins generally due to mishandling at slow speed, and the actions needed for a safe recovery were poorly understood. No one had yet determined the mathematical description of the spiral associated with an aircraft’s path through the air during a spin, or the exact state of its flying and control surfaces. It took Lindemann’s courage in conducting the necessary flight tests, combined with the deeper insight of British mathematician Hermann Glauert, to produce the full theoretical analysis needed. The practical spin recovery actions this work inferred would subsequently save the lives of countless pilots – including my own – who have had the misfortune to be caught in a spin. The key point was that any stalled sections of wing had to be returned to normal flight. Once in a vertical dive rather than in a spin, an aircraft can be eased out of the predicament using normal control inputs –- assuming the ground doesn’t intervene first, of course. During those initial test flights, Lindemann must have been treading a very fine line between extreme bravery and complete insanity. Clearly his long career after Farnborough shows he trod it extremely well. Not all of the Farnborough set were as fortunate as Lindemann. David Hume Pinsent is perhaps more famous for his relationship with philosopher Ludwig Wittgenstein than for his academic prowess. But he was one of Cambridge’s top mathematicians among the cohort that graduated in 1913 and his work in aeronautics should not be ignored. 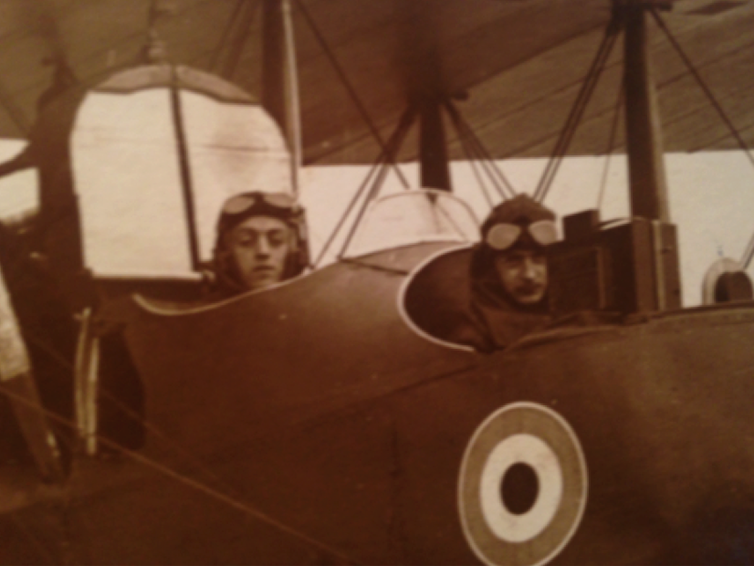 His aspiration to become a pilot was never realised, but he spent many hours in the air as an observer conducting experiments, notably on aircraft tail loading. William Farren and David Pinsent. The Pembroke College, Cambridge, graduate’s talents in mathematics and engineering were thought too valuable to risk losing by returning him to active duty following his recovery. How ironic that his life would end in a similar fashion to that of Pinsent, when a wing of his RE8 failed at 2,000 feet during a similar air test. Clockwise from top right: Hugh Renwick, F W Aston, Ronald McKinnon Wood, David Pinsent, Herman Glauert, George Thompson, F A Lindemann, Harold Grinsted, William Farren. As a humble modern-day pilot and mathematician I feel nothing but respect for the contributions and sacrifices of these amazing pioneers of fixed-wing aeronautics. Though they mostly came from civilian backgrounds, the motto of the Royal Air Force applies as much to them as their battling counterparts. Per ardua ad astra – Through adversity to the stars.